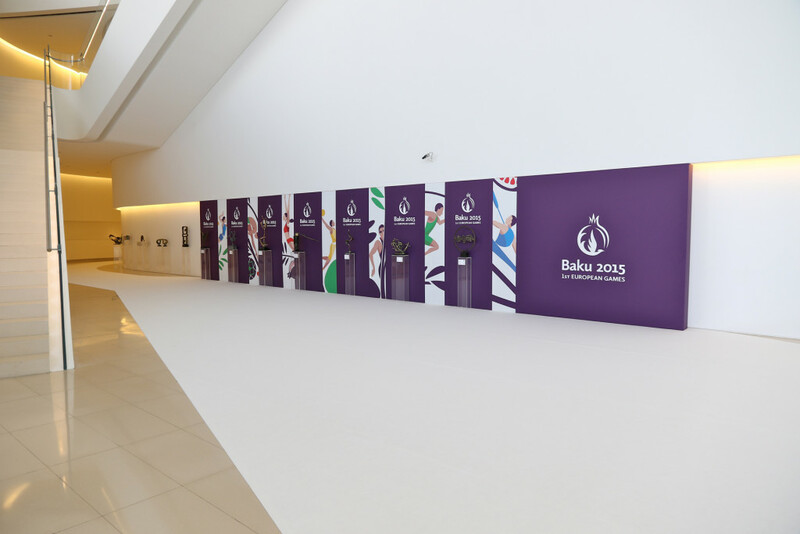 For the official welcome luncheon of the European Olympic Games held in Baku in 2015, the Multipurpose Hall of the Heydar Aliyev Center hosted delegations and Heads of State representing participant countries by invitation of the President of Azerbaijan, Mr. Ilham Aliyev. 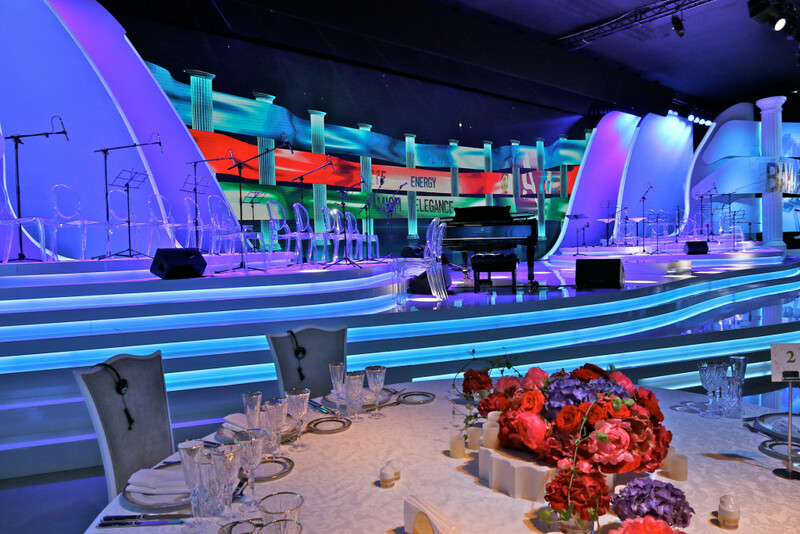 For this event, Simmetrico completely transformed the inside of the venue, putting in place immersive set decorations. 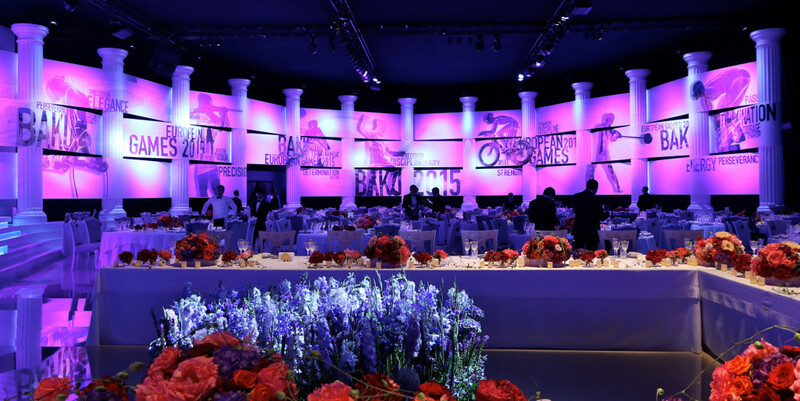 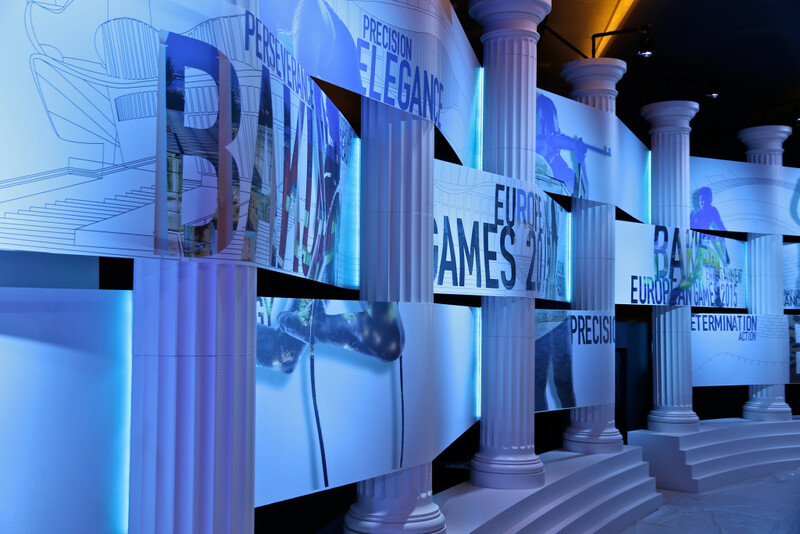 The invitees were hosted inside two semicircles of 6-meter high columns, a clear nod to classical Greece, the cradle of the first Olympic Games. 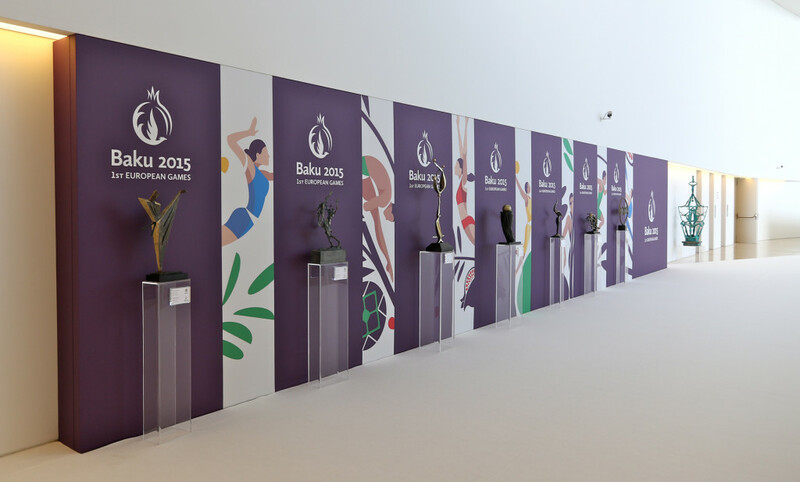 Additional installations were set up with evocative images of the various sports disciplines contested in the Games, of the Olympic stadiums built in Baku for the event and of capital city panoramic views. 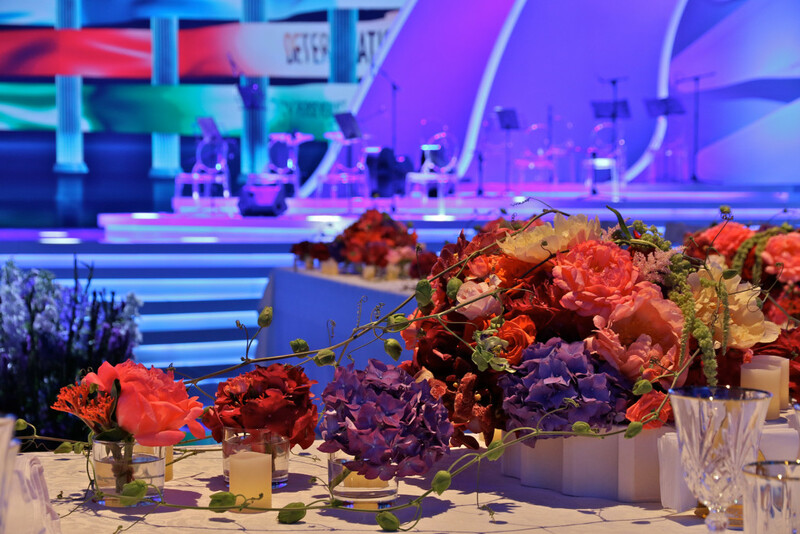 At the center of the stage, a 16-meter LED screen showed video projections that accompanied guests throughout the event, demonstrating the variety and the richness of the country’s most evocative landscapes. 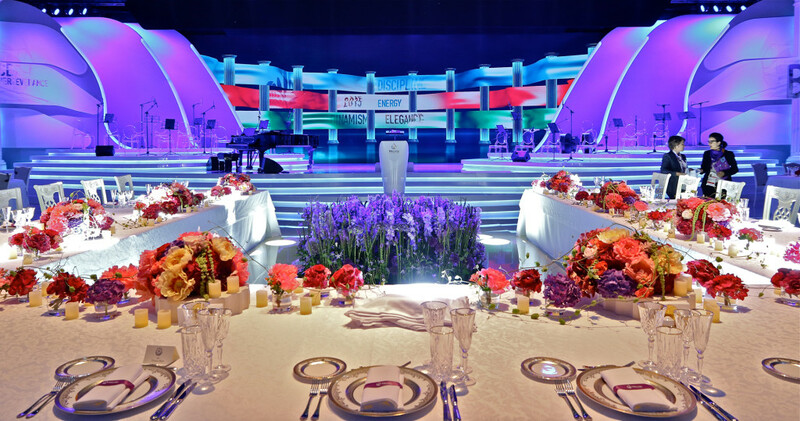 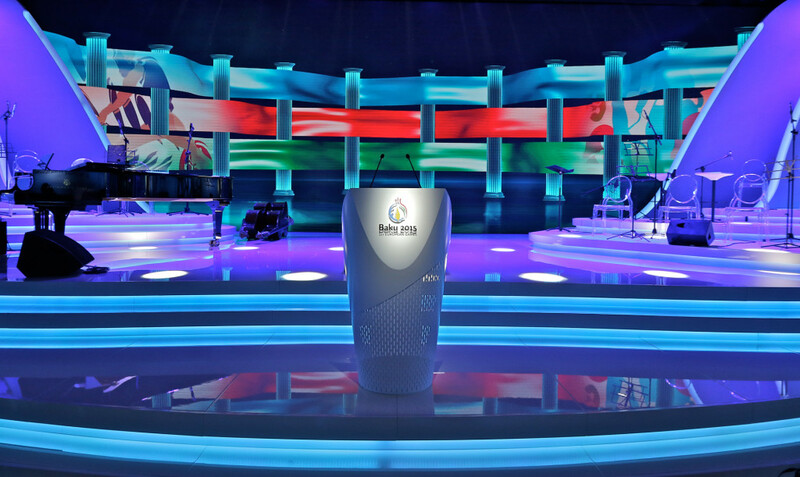 The images of sports events in various disciplines followed one another onscreen, accompanied by a concerto played by the 30 musicians of the Azerbaijan State Chamber Orchestra.